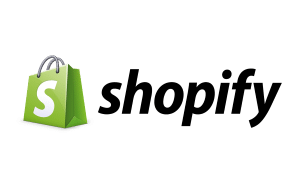 Shopify is a simple way to create an online store to list products, collect credit card payments, and ship your goods. It even allows you to connect new sales channels like Amazon and eBay in the blink of an eye. This makes Algopix an invaluable tool for any Shopify customer selling on multiple channels. Getting started with Shopify is a matter of signing up and enjoying a free 14-day trial. After this time, you must choose between three pricing plans. They offer a plan for businesses that just started, growing businesses, or already established businesses that want to scale their operations. Sitting on too much inventory that won’t sell can happen for many reasons: There’s not enough demand to meet supply, people don’t find your listing because of insufficient marketing, or there are more attractive markets you’re not yet selling on. No matter what reason, Algopix can help you reduce deadstock and increase sales by providing easy-to-read, valuable information for any product on 16 different Amazon and eBay marketplaces. This information includes the demand level, recommended marketplace to sell your product on, and more. In order to reach more customers, Shopify offers the option to synchronize your online store with eBay’s and Amazon’s marketplaces. This means more people will see your listings, but at the same time, selling on either of the two marketplaces will come with additional costs. Algopix can help you calculate those costs thanks to its Full Expense Analysis feature. It gives you an overview of marketplace fees, taxes, shipping fees, and other logistic fees enabling you to better understand the impact to your bottom line. Additionally, shipping fees and taxes are independent of marketplaces and affect your Shopify store in anyway. With expenses in mind, Algopix then estimates the profit for your product for each market you want to analyze, allowing you to set competitive prices, calculate your expected profit, and maintain a consistent image of your shop across all of your sales channels. Estimating the market size is a crucial part of positioning your business and finding out which products to offer. But finding all the right numbers to do so takes time and only in a few cases those numbers are reliable. Algopix’s Sales Estimator uses numerous data sources from various providers to get a detailed overview of a product’s market size. The output does not only consist of last month’s sales volume but also of last month’s gross merchandise volume. With these key figures you can assess how attractive a product’s market size is, if there are other marketplaces to sell your products on, and set yourself a goal regarding sales volume. Always keep an eye on your competition. It’s a great way to learn, see which direction the market is going, or find your own niche to position your shop in. Googling your competitors however is not the best idea, because it takes valuable resources and you won’t find every single competitor there is. To give you insights into your competitive landscape, Algopix offers an overview of your main competitors, the total number of sellers offering the same product, buy box price, and much more. Offering the right product at the right time in the right place is one aspect of a successful eCommerce business. The other aspect concerns customers finding their way to your business and actually purchasing products. Since you don’t have a marketplace to rely on for customers, you need to drive traffic from different sources of the internet. One way to increase organic (unpaid) traffic to your Shopify store is search engine optimization (SEO). If you haven’t done it already you should start now, because it will help your store rank higher on search pages. Further, you can synchronize your Shopify store with eBay’s and Amazon’s marketplaces, increasing your exposure to new potential customers dramatically. Search engine marketing (SEM) is another way to drive more traffic to your Shopify store. Search engines, like Google or Bing, allow you to place ads on search results for specific keywords. In order to be displayed on the search result page, you need to participate in an auction. For every keyword or search phrase you want to display your ad on, there is an auction. In the auctions the highest bids will get the advertising space. Every time a potential customers searches for your desired phrase, your ad will show up. If the user clicks on the ad, a payment to the search engine is due. This is why these kind of marketing campaigns are called pay-per-click campaigns (PPC). The cost-per-click (CPC) depends on the popularity of your keyword, the conversion rate, and bidding competition. Google AdWords, one of the most popular SEM tools on the market, enables you to show up on Google’s search result pages. In order to build a solid Google AdWords campaign, research is needed to get an idea about CPC, number of searches in the past, and other important values. Algopix’s Google AdWords Insights aggregates the most important information, like a recommended search phrase, the respective CPC and cost-per-acquisition, bidding competition level, and average number of searches in the last month, and displays it in a way that is easy to understand. This enables you to start your own AdWords campaign and position your products in the spotlight for customers to buy. Being seen by customers comes hand-in-hand with higher sales. While making one step at a time is recommended when starting new, more experienced sellers might want to accelerate their sourcing effort. For this purpose, Algopix offers product bulk analysis of up to 200 products at once. All you need is a CSV file and you will get results in a matter of minutes. This puts you in a position to quickly assess hundreds of products and only source the most promising ones.